This train journey ran from Xining in the Qinghai province of China to Lhasa, Tibet, a distance of 1215 miles. 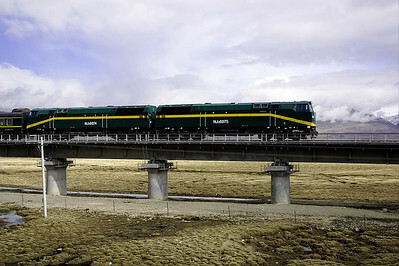 The track from Golmud to Lhasa is new, completed in 2006. The engines are built by GE, and the cars by Bombardier of Canada.This is currently one of the great railway journeys of the world and certainly the highest.. One could take a train from Beijing to Xining and from there to Lhasa, which is about a 48 hour trip. 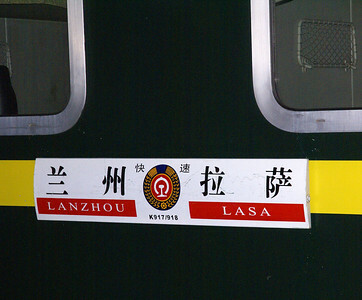 Xining to Lhasa is about 27 hours. 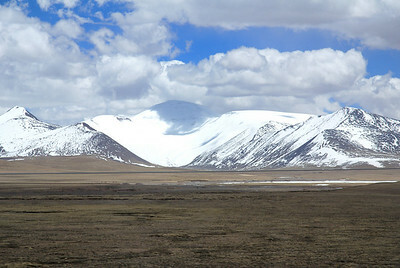 Much of the rail bed from Golmud to Lhasa is elevated because the permafrost sometimes melts, and if the rails are laid directly on this there would be slippage. This photo is in the public domain and not copyrighted by the author. 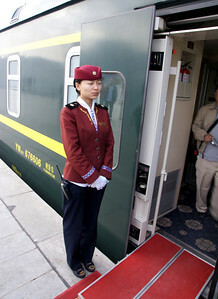 Han Chinese attendant welcoming passengers on board in Xining. 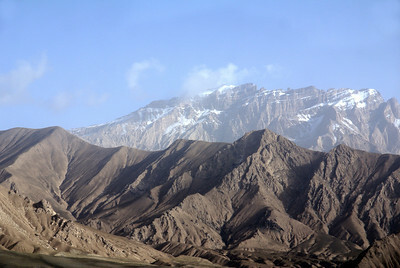 Mountains in Qinghai north of Tibet border, taken from the train. Glacier, taken from the train. 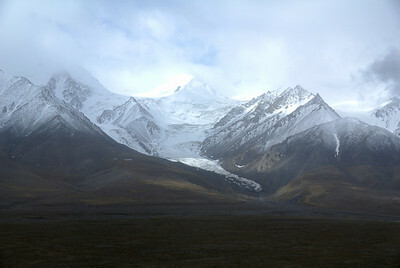 Crossing Tanggula Pass, highest point on the railroad line, 5063 meters(16,611 feet. The cars are not pressurized, but extra oxygen is pumped in. Photo taken from the train. 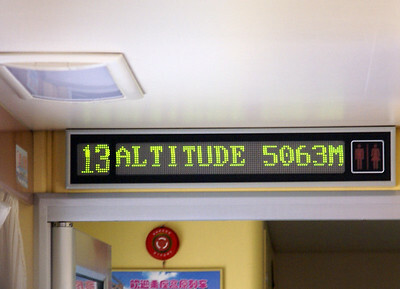 Altitude sign in passenger car. 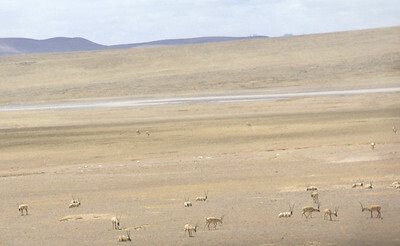 Tibetan antelope, taken from the train. 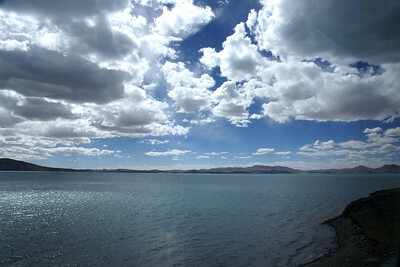 Lake north of Lhasa, taken from the train.